So you’ve decided to take the plunge and become a fully-fledged director of your own limited company, but how to start? Well, first thing is to make your company a reality. Question about setting up your limited company? Submit your queries to Contractor Doctor. If you have a varied trade or plan on trading in more than one field (e.g. if you work in both IT and business consultancy), don’t limit your name to one aspect of your work (e.g. Computer Consultant Ltd if you provide business consultancy as well). Your company name is your first piece of marketing so don’t be too restrictive. For a limited company to officially come into existence, you must ‘incorporate’ it by registering with Companies House. Once registered, you will receive a certificate of incorporation which is the legal proof of your company. Simply head to Companies House website and register using their Web Incorporation Service. Before starting, ensure you have the company name and the official legal address of the company, the personal information of the director (and secretary if you choose to have one), full details of initial shareholders including voting rights and nominal value of the shares etc. and your payment of £15. In order to register by post, you will need to complete the IN01 application form, along with the Memorandum of Association which requires full details and signatures of the initial shareholders, and an Articles of Association which are essentially “the company’s internal rulebook”, should you not wish to use the standard Model Articles. All of these forms, the Model Articles and further guidance on completing your application are available on Companies House website. As well as sending the relevant documentation, you will also need to send a fee of £40 for the standard 8-10 day service or £100 for the same day service. Finally, you can pay a formation agent to complete your incorporation for you. Prices vary but most will provide some specialist advice to starting your own company as well. Companies House has an extensive list of formation agents. Having registered with Companies House, you will be required to prepare full annual accounts and send your accounts to Companies House at the end of each financial year. For information on incorporating a Limited Liability Partnership, please visit Companies House for an in-depth guide. As well as sending your accounts to Companies House, you will also be required to send them to HMRC as well as file a company tax return with HMRC and pay any corporation tax due or tell HMRC that you don’t owe any. A penalty exists for non-notification to HMRC for setting up a business. 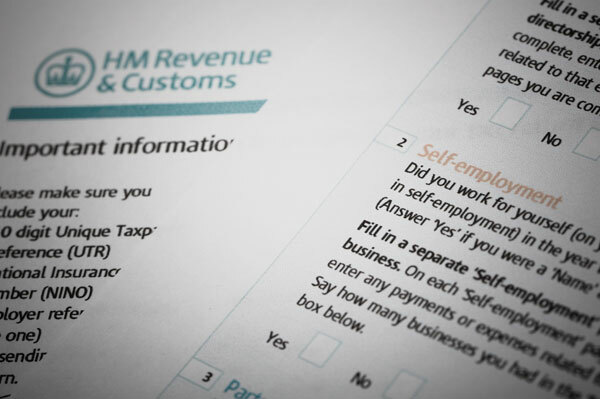 HMRC will also want to know the date up to which you will be preparing your first accounts. Once you have informed HMRC of your company, they will send you your Unique Taxpayer Reference to your registered office address with details on how to give HMRC the information they need as well as how to set up an online account for paying corporation tax and completing company tax returns. If you think you have the right skillset that companies will wait for, secure a contract prior to quitting your permanent job. The best way to bridge a gap is not to have a gap in the first place. Consider taking a part time role whilst getting your contracting business up and running if possible. If you need to quit prior to securing a contract, ensure you have ample savings set aside to account for any gap in income. Have an action plan in place (e.g. send your business profile to various jobsites x number of weeks prior to quitting, quit x number of weeks prior to your intended contracting start date and ramp up the marketing efforts as your plan goes on). Good preparation and planning is key for ensuring you are not left with financial distress. Now you should officially have your own limited company, but we’re not quite ready. 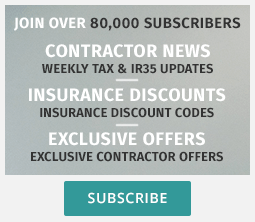 There are a few more things to consider including the IR35 legislation, finances, contractor insurance, and securing a contract before you fly the nest. Need a hand to setup your limited company? For more information regarding setting up a limited company please fill in the following form. Would you like more great content by email?